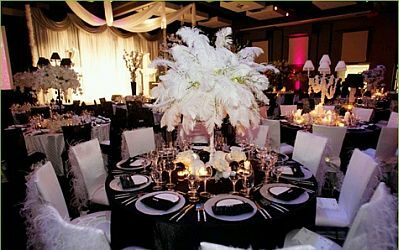 If you like decoration in Black and White for your wedding, and still do not find the Centerpiece or Arrangement suitable, then you have some interesting ideas, which surely enjoy. 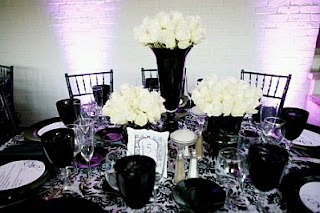 Center table that uses a white pedestal, within which are placed feathers dyed the same color, the result, an excellent contrast with the black tablecloth. 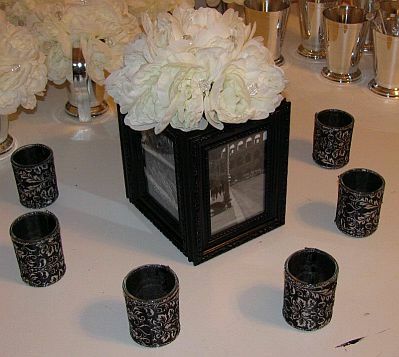 Wonderful proposal with a cube with black frames within which are placed white flowers, and each face of the cube can be used to put pictures representing the couple. around, just place delicately decorated small vessels. 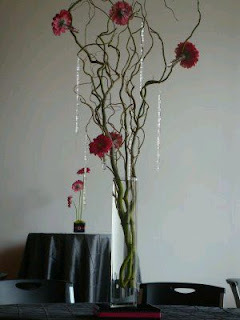 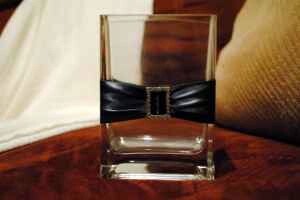 Excellent proposal that combines in perfection, it is long, stylized black glass containers with red flowers inside. For a Centerpiece or Arrangement to look good, you need to have the proper container, and often this is very easy to achieve, simply place a tape as the image and go. 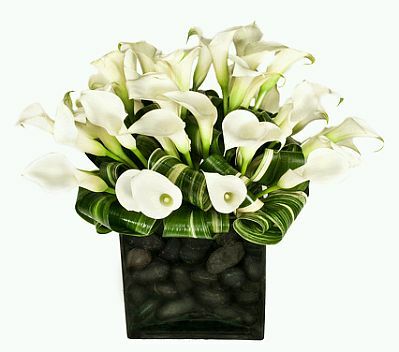 Pretty proposal to combine in perfection, the black color of the container and stones, with white and green flowers and leaves. 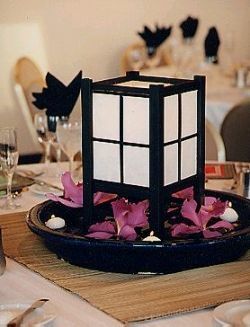 Another nice proposal to combine the black and white lantern with black plate and white candles. 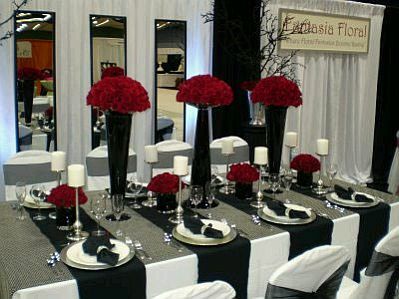 Interesting centerpieces in clear glass vase, within which are placed branches of natural color, red flowers and white crystals, this goes well with black tablecloths and chairs. 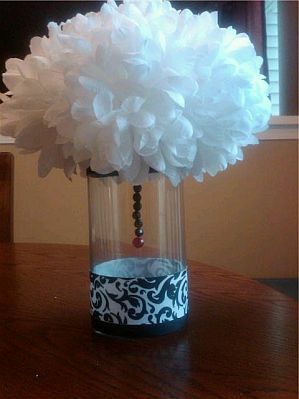 If you prefer a lower basis, this is a good choice, it is a clear glass vase decorated in white and black at the base, a white artificial bouquet on top, and the middle column hangs a black beads. Finally, if you were looking centerpieces and floral arrangements that are strictly black and white, this idea might like it, are black glass vases of various sizes and shapes with white flowers inside.